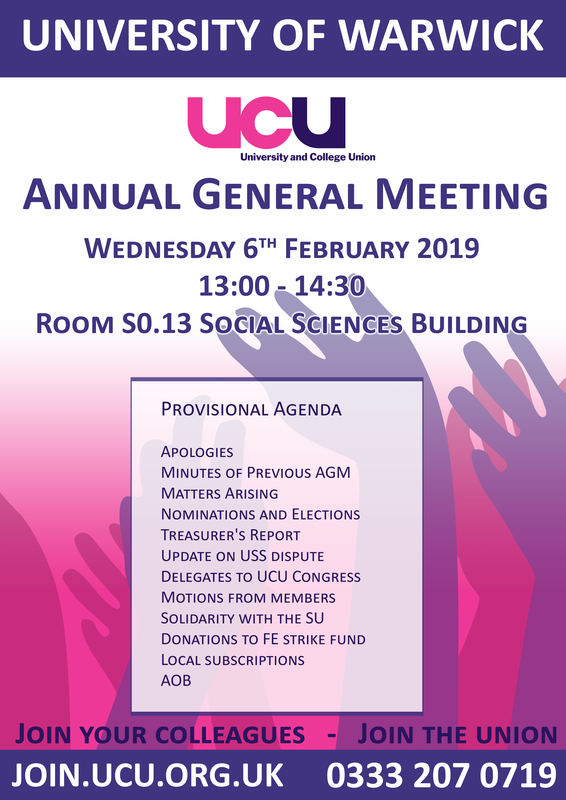 All members are invited to the branch Annual General Meeting on Wednesday 6th February 13:00 to 14:30 in S0.13 Social Sciences Building. Delegates to UCU Congress – nominations are invited for members to attend UCU congress as one of our three branch representatives. Local subscriptions – discussion and vote on adopting a more progressive and fairer local subscription rate.